Nosferatu is a 1922 silent Gothic horror film directed by legendary German filmmaker, Friedrich Wilhelm Murnau. F. W. Murnau—a prominent figure in the German expressionist movement of the 1920s—is widely regarded as one of the most influential filmmakers of the silent era. 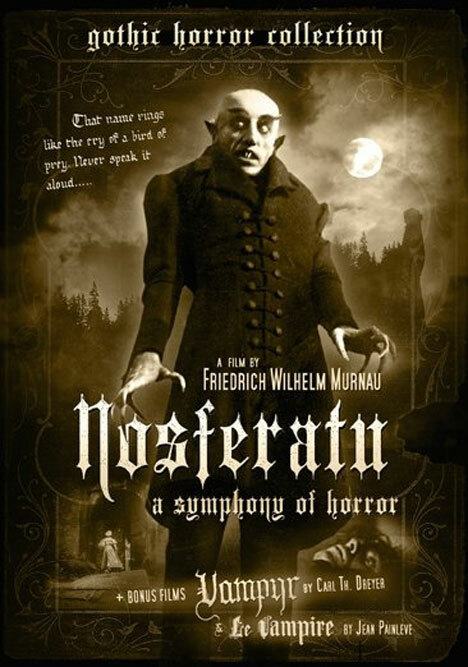 Nosferatu, also known as Nosferatu – A Symphony of Horror, stars Max Schreck as the vampire Count Orlok. Murnau’s Nosferatu was supposed to be an adaptation of Bram Stoker's 1897 epic vampire extravaganza, Dracula, but after the studio failed to procure the rights of the book from Stoker’s widow, the names and other details were deliberately adjusted so as to avoid the hassles of copyright infringement. However, this deviation was not enough to deceive the court, which gave its verdict in the favor of Stoker’s widow. After the film studio (Prana Film) declared its bankruptcy, the court instructed to destroy all the existing prints of Nosferatu. If it wouldn't have been for the one surviving copy of the film, which had already been distributed all around the world, we would have surely been deprived of the privilege of savoring this true gem of cinema. 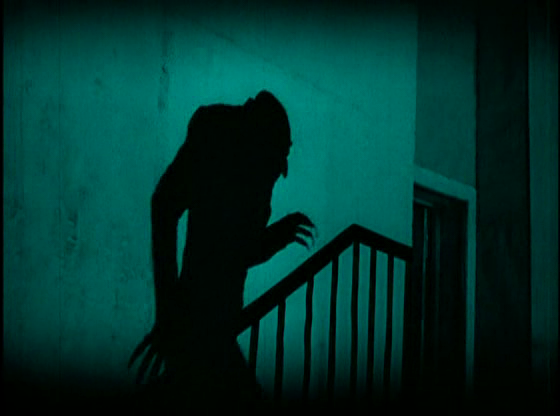 What makes Murnau’s Nosferatu remarkable, in comparison to the countless other renditions, is that apart from keeping the eerie feeling of Stoker’s Dracula intact it also succeeds in doing away with the theatrical gimmicks (that can often tear apart an entire narrative), thus relying heavily on the development of its characters as well as its plot. This enriches Murnau’s characters with an inherent sense of realism that the characters in the book’s other cinematic renditions are so ostentatiously devoid of. 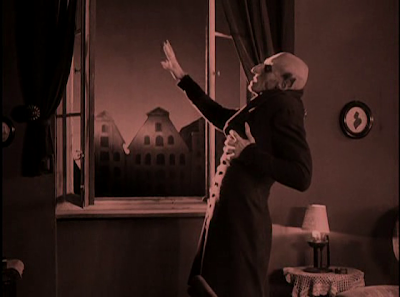 Max Schreck’s Count Orlok, in exact contract to the character’s future portrayals on the celluloid, is what he is supposed to be: a cursed creature depraved by centuries of hapless suffering and solitude, who obviously lacks the glamour of a celebrated vampire being made to bask in the glory of his own grandeur. One vampire movie that comes very close to Murnau’s Nosferatu in its expression of horro is E. Elias Merhige’s metafiction horror film, Shadow of the Vampire (2000). 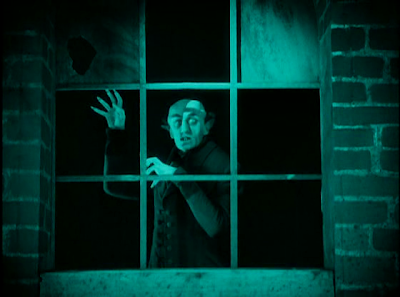 The movie, coincidentally, shares a more intimate relation with Nosferatu, for it narrates a fictionalized account of the filming of Murnau’s 1922 epic. The movie stars John Malkovich as F. W. Murnau and Willem Dafoe as Count Orlok. The beauty of Merhige’s Shadow of the Vampire is that it serves two different purposes at the same time: It triumphantly presents a fictionalized account of the making of Nosferatu. And, it also serves to be a Gothic horror film of its own. Malkovich’s Murnau comes across as a meticulous filmmaker who seems so obsessed about his art that he wouldn’t think twice about sacrificing his cast and crew members in order to fulfill his artistic vision. Dafoe’s Count Orlok is an actor so committed to his act that he wouldn’t leave a single stone unturned in order to bring the Gothic vampire to life. While Dafoe’s masterful performance resonates with Max Schreck’s iconic portrayal, John Malkovich’s F. W. Murnau has all the qualities of becoming the cinematic archetype of a mad artist obsessed with his art. 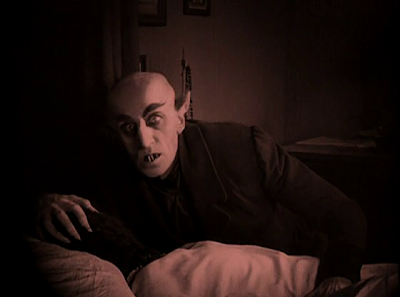 Over the last nine decades, Nosferatu has not only enjoyed a strong cult following, but has received overwhelmingly positive reviews. Renowned film critic Roger Ebert writes in his review of Nosferatu, “To watch F.W. Murnau's ‘Nosferatu’' is to see the vampire movie before it had really seen itself. Here is the story of Dracula before it was buried alive in cliches, jokes, TV skits, cartoons and more than 30 other films. The film is in awe of its material. It seems to really believe in vampires.” Over the years, Stoker’s Count Dracula has enjoyed an unprecedented following, one that is matched only by Sir Arthur Conan Doyle’s super-sleuth, Sherlock Holmes, with Stoker’s Gothic super-villain making a major appearance in more than 200 films. Suffice it is to say that the universal popularity of Stoker’s Dracula owes a colossal debt to Murnau’s Nosferatu, which not only made Stoker’s epic vampire saga a household phenomenon, but also immortalized Stoker’s vampire as the supreme symbol of Gothic terror in the world of cinema. 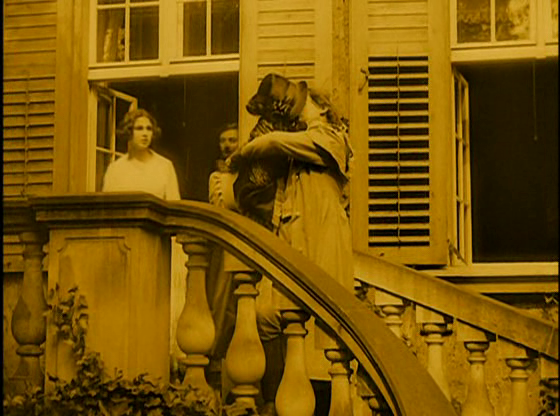 Even today, Murnau's Nosferatu serves as a great means to get acquainted with Stoker's timeless tale of terror. Nosferatu still continues to be unparalleled in its demonstration of unrestrained terror in the world of cinema. An essential watch! Wonderful review as usual. I haven't seen this classic horror yet. Recently i watched "Cabinet of Dr.Caligari," and it was a stunning experience. So, now looking forward to watch another silent classic. Great! 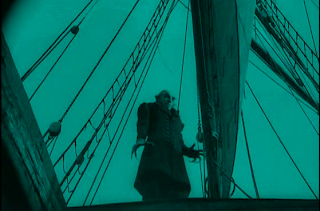 I really admire Murnau's Nosferatu and think that it is far better than Herzog's version. Max Schrek is iconic nad probably only Bela Lugosi can compare to him in the "vampire acting". We're glad that one copy survived! I'm also in the blogathon, with a review of The Wind. Everyone knows of Dracula but hardly anyone of Nosferatu. 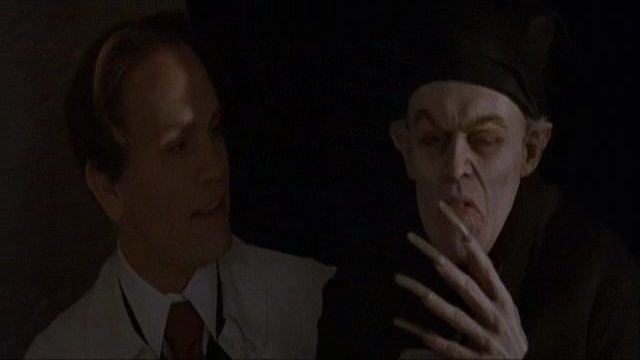 Best part is what all characteristics exhibited by current Dracula on-screen is a gift/adaptations of Nosferatu. I couldn't have agreed more... the universal awareness about Dracula wouldn't have been possible without Nosferatu!! !